Andy Murray’s mum says the three-time Grand Slam champion will not rush his comeback from a hip injury that has blighted him since last year. 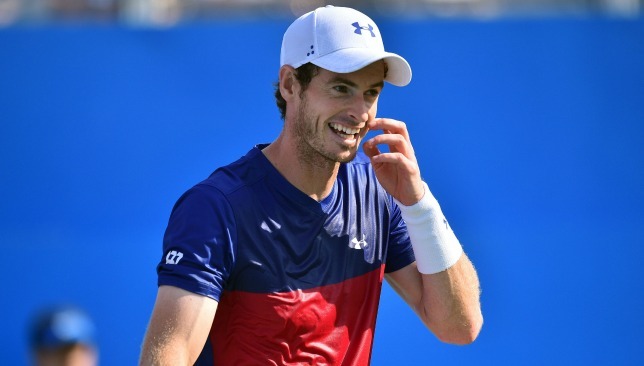 Former world number one Murray, who has played hardly any tennis since a hip operation earlier this year, is currently in action at the Shenzhen Open in China and will play just one more tournament this season, in Beijing. Murray has plummeted from the top of the tennis world in 2016 to 311th in the rankings, and his mother Judy said he is “desperate” to return to full fitness. “He’s doing well. He’s working with a rehab specialist in Philadelphia,” said the former British Fed Cup captain. “He wants to absolutely focus the rest of the year on getting his body as ready as he can for the start of (2019). Judy is in Wuhan conducting coaching workshops during the Wuhan Open. Her son showed flashes of his old self Thursday in Shenzhen, where he swatted aside top seed David Goffin in straight sets. While there were few visible signs in that match of the hip trouble that put him out of action, the 31-year-old’s mother said he will not take any risks. 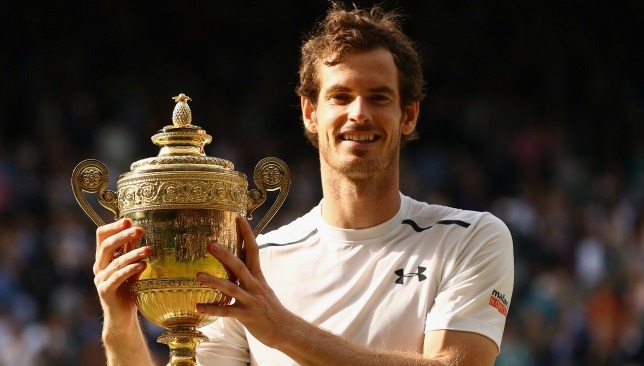 In 2013, a year after his first Grand Slam win at the US Open, Murray became the first British player to win the men’s singles title at Wimbledon in more than 75 years, and won the trophy again three years later. “He loves what he does, so he’s desperate to get back. But… when you’ve been out that long, you don’t want to rush it,” said Judy, who coached him during his early years. The Scot will face Fernando Verdasco in the Shenzhen Open quarter-finals on Friday. 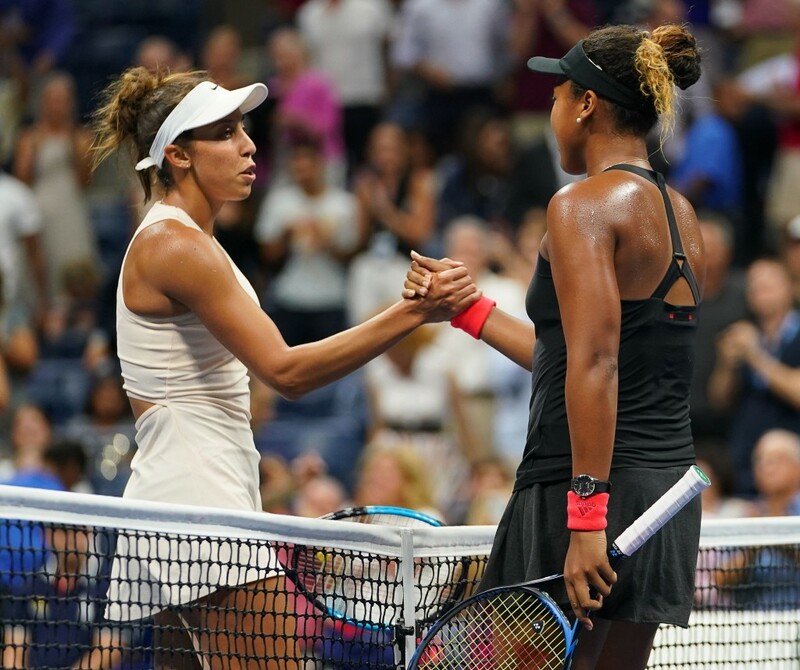 WUHAN, CHINA — Naomi Osaka may have withdrawn from the Wuhan Open with a viral illness but she remained the talk of the town here at the tournament as top players of the WTA heaped praise on the recently-crowned US Open champion. Osaka impressed with both her game and composure in New York to lift her maiden Grand Slam title with victory over Serena Williams in the final. She dropped a total of 28 games across her seven matches at the US Open, losing just one set to Aryna Sabalenka, and became the first-ever Japanese player win a Grand Slam singles title. Osaka’s route to major glory is not your typical one. The 20-year-old had never won any title prior to this season, and when she was crowned for the first time, it was at the Premier Mandatory event at Indian Wells in March. She made sure her second success would be even bigger, as she stunned the field at the Open. She broke serve a whopping 31 times throughout the fortnight in Queens, New York and won 91.5 per cent of her own service games (a 17.8% increase on her season average according to WTA Insider). “She was extremely impressive,” Madison Keys, who lost to Osaka in the US Open semi-finals, told reporters in Wuhan this week. “I remember playing her in the match thinking, ‘Okay, I hit a good ball, maybe something short is going to come back’, and it was not. Just I kept thinking like, ‘Okay, there will be a let-up, somewhere I’ll be able to get back in it’. I mean, even any of the break points that I had, I had no shot,” added Keys, who couldn’t convert any of her 13 break points against Osaka in New York. After she won the US Open, Osaka was asked about her future goals. She quickly noted that her next tournament was Tokyo and that she hoped she could claim the title there. She fell just one match win short of doing just that. Unlike others who may have needed some time to adjust to their status as new Grand Slam champions, Osaka kept her run going. She went to Tokyo a week after her success at the Open and extended her winning streak to 10 matches in a row by reaching the final at her home tournament. She ran out of gas at the end, losing in straight sets to Karolina Pliskova, and settled for the runner-up trophy. She is the first maiden Slam champion to make the final of her next event since Victoria Azarenka won the Australian Open and Doha back-to-back in 2012. World No. 1 Simona Halep is also not surprised by Osaka’s achievements. While Halep has two wins over Osaka this season (Australian Open fourth round, Rome second round), she only mustered three games against the young Japanese in the semi-finals of Indian Wells. She knows what an in-form Osaka is capable of. “She was always able to do these things because she’s a very good player. Her mental is strong. Even if she’s young, she has many good things in her mind and also body. She has power. These days is really important,” said Halep of Osaka. Osaka’s dominant display in New York caught Caroline Garcia’s eye. It wasn’t just that Osaka was winning those matches, it’s how she was winning them, said the fourth-ranked Frenchwoman. “It was a great performance for her, for all the tournament. Like, she killed everyone,” said Garcia. Garcia added: “It’s always funny to see her at the trophy ceremony. Most of the time I look like overexcited, over the moon. She’s like, ‘It’s okay’,” Garcia said with a laugh, mimicking Osaka’s nonchalant look. Osaka described her first victory speech when she won Indian Wells as the “worst acceptance speech ever”. It was actually very endearing. She is shy, funny and quirky, and has got more comfortable addressing large crowds which was evident in how gracious she was after winning the US Open – amid difficult circumstances – and how poised she was on all of the American talk shows she appeared on post-victory. Osaka still maintains that she doesn’t have many friends on tour and that she finds it difficult to approach others, but the locker room is finally getting to learn more about her as her star shines bright. “I don’t know her [Osaka] very well. I feel like I’m probably more outspoken and louder than she is,” Keys said with a laugh. “I’m sure she probably hears me, she’s like, ‘Oh, God, I don’t want to talk to her’. I know her from afar. She seems very genuine and sweet and shy and all that. 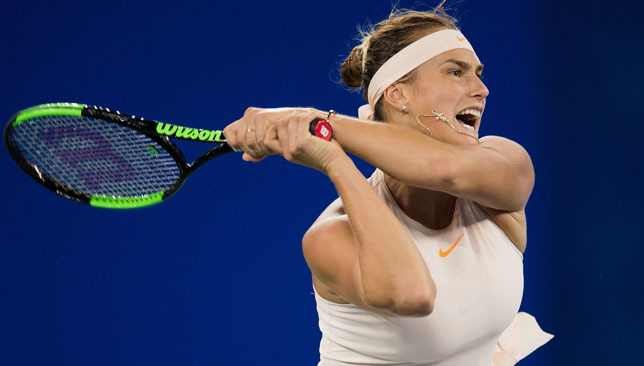 Aryna Sabalenka will try to reach her fifth tour-level final within the last 12 months when she takes on Ashleigh Barty in the Wuhan Open semis on Friday. The Belarusian world No. 20 has rocketed up the rankings this season, starting 2018 at 73, and could rise to as high as 17 in the world if she lifts the title in Wuhan. Making her tournament debut this week, Sabalenka took out an in-form Dominika Cibulkova 7-5, 6-3 on Thursday to reach her second consecutive semi-final at a Premier 5-level event. “I didn’t expect this. I’m just came to this tournament for enjoying, just to show my best. Well, it is how it is. I am happy with this,” said Sabalenka, who claimed her first WTA title in New Haven last month. The 20-year-old, who hired former ATP player Dmitry Tursunov as a coach ahead of the start of the grass season, is thrilled with her progress so far and paid credit to the Russian for helping her hone her power and adjust her game. “Before I was hitting every ball just as hard as I can. After I started work with Dmitry, he explained, ‘You don’t need to do it all the time. Sometimes it’s only to put three balls in. With your speed, it’s enough’. Well, I think this thing started working with me,” she said on Thursday. Sabalenka reached the first final of her career 11 months ago in Tianjin and admits she enjoys playing tournaments in China. “I like to play in China. I always do well here. I don’t know why. Probably the fried rice make me much stronger on the court,” she said with a laugh. Someone who also knows what it’s like to enjoy success in China is Barty, who is into the semis in Wuhan for a second straight year, thanks to a 6-2, 5-7, 6-4 win over Anastasia Pavlyuchenkova on Thursday. Barty defeated Sabalenka in their sole previous meeting, in the Australian Open first round last January, and it was a close three-set thriller. “I played against her on Australian Open. It was such a good match. I really waiting for next one. She’s a great player. She’s, like, I would like to say tricky player because she’s playing slice, lobs, with spin. It will be not easy match. Of course, semi-final, who gets easy here?” said Sabalenka of the crafty Aussie, who was the sole seed (from 16 in total) to reach the quarter-finals in Wuhan this week. 5 – semi-finals reached by Sabalenka this season. 7 – top-10 wins Sabalenka has amassed this season, all claimed within the last four months. 18 – wins against just four losses for Sabalenka since losing her qualifying opener in San Jose end of July. 19 – three-set main draw match wins this season for Sabalenka, the most on tour. 23 – aces struck by Sabalenka so far this week in Wuhan, across four matches. 28 – Sabalenka joins Simona Halep at the top of the leaderboard for most hard-court match wins on tour this season with 28. 39 – main draw match wins for Sabalenka this season. Prior to 2018, she only had a total of 12 main draw match wins on tour. Only seven players have posted more tour-level main draw match wins than her this year. 66.1% – Sabalenka’s winning percentage on service points this tournament. She is 59.9% in that category across the season. 74.7% – Sabalenka’s winning percentage in first-serve points this week in Wuhan, the highest among the field. She is 68.2% in that category across the season. 111 – Sabalenka’s ranking 12 months ago.